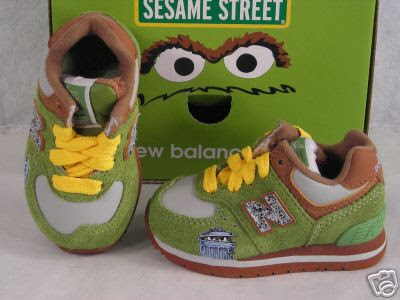 If we have a boy Travis will buy him these cute Sesame Street New Balance kicks. Gotta love Oscar the grouch! I don't normally like "character" shoes, but these are cute. i think i want a pair for my little man. i think you are always going to beat me in the best shoes category. over the counter this weekend? pretty sure trav has already got them huh? haha just joshin ya.